Today, smartphones, tablets, and wearables have enabled shoppers instant access to information about products and services wherever they shop. A smart retailer does not fight this access in fear of competition, but uses it to their advantage. Here are some tips on how to build your retail WiFi network. With the proliferation of WiFi enabled devices, today’s WiFi networks must be robust enough to handle many concurrent sessions and thousands of users. Not only that, but they must also be secure and PCI-compliant. A network’s capability must also go beyond the customer’s requirements for Facebook, Instagram and other social media access. The ability to support inventory management, security and alert systems, intra-store communications and more must be taken into account when designing a network. As both your customer and operational needs grow, your network must be easily scalable to accommodate all needs. These are all important consideration when you ask yourself how to build your retail WiFi network. No one wants to be the next data breach horror story. The security of your customers, associates and network should be your utmost concern. A network must be segmented with airgaps between SSIDs to prevent unauthorized access to cardholder data. Also, blocking of inappropriate material and malware must be instituted to protect shoppers and associates. A good managed WiFi provider knows how to build your retail WiFi network with top of the line firewall and wireless intrusion protection. A captive portal is a great way to market your business while protecting it. You are able to register customers, improve your user experience, and protect your business. Here are a few reasons to include a captive portal with your network. Hackers are known to pose as a legitimate network in order to steal data. To ensure that customers log on the correct network and aren’t scammed by hackers looking to gather data, put up a brand identifiable page and advertise it throughout your store. Most retail WiFi networks provide guest access without a form of authentication. This makes it easier for the shopper to log on, but it also means that user information sent over the network is not secure. You should include access to a user agreement and an “I agree” checkbox on your captive portal page that releases you from liability if the user does something inadvisable. How can you collect data to improve the user experience? Simply allow users to use their social media account to log into the network. By doing this, they will be agreeing to allow you access to a variety of social data you can use to learn more about them and their likes. Using this information properly will help you create a more personalized shopping experience. 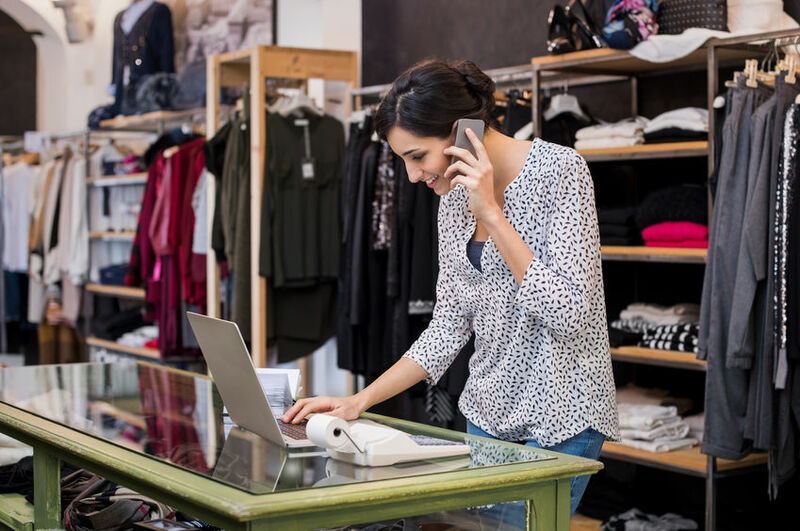 For more information about our retail WiFi services, installation and help desk support, call 1-844-544-3826 to speak directly to a Deep Blue Representative, or contact us to schedule a site survey.